Set in a meander of the River Thames, Chiswick provides independent shops and eateries, plenty of greenery and good connections to central London via the District Line and London Overground. You will find most of the area's amenities along Chiswick High Road, while historic Chiswick House and Gardens sits at the heart of the district. Period properties and sleek new build developments are available to buy and rent in Chiswick. Foxtons are proud to be one of the leading estate agents in Chiswick offering properties for sale and to rent in Chiswick. "Thank you to the Foxtons agent who found me a great apartment. Very efficient service, great communication and excellent customer experience"
Diligent and friendly service throughout, highly recommendable. Thanks very much to Daniel for finding us a great temporary home on minimal notice. Much appreciated! Carlo was a real pleasure to work with. We went out on several viewings and each time Carlo was spot on with our needs. He was easy to contact and was great with follow up and check in both over the phone and email. He is very knowledgeable about the area and I would hope to work with him again in the future. I had a property that was hard to shift so I brought Foxtons onboard as an additional agent. They did not generate many viewings but were very confident that those viewings would result in a sale. This contrasts with another agent that claimed dozens of viewings but with no offers. A sale was agreed through Foxtons and Gary and his team managed this perfectly in a courteous and professional manner. I would also mention that Gary went the extra mile and kindly arranged for the disposal of some furniture left by the previous tenants which I was unable to do from overseas. Highly recommended. We’re both really pleased with Foxtons. They were knowledgeable, professional, efficient and friendly. Tom really knows the overall market and Chiswick in particular and Gary was fabulous at keeping us updated with viewings and “holding our hands” through the selling process. Many thanks chaps! I have sold 2 properties through Foxtons and I found them to be very capable and efficient in both instances. Tom spearheaded both of my sales and he advised me of realistic asking prices and how I should present the properties. He achieved very quick sales for me, particularly with the flat I have just sold. He was always kind, encouraging and courteous throughout. Gary was similarly pro-active and charming. Lisa has been a great agent. Helped me through a tough and urgent property search. I would highly recommend Lisa for any friend looking for a new property in the area. For my boyfriend and me it has been a pleasure to find our new flat with your agency. We had Lisa from Chiswick as personal agent and she has been just amazing with us. Very helpful and kind, she gave us a perfect customer service and she actually found the property we were looking for a long time. We had to deal with a lot of different agencies in the past and we can just say Foxtons is the best in many different aspects. We have dealt with a lot of estate agents in our time and I would say without a shadow of doubt Gary has been the best. Very attentive, does what he says he is going to do and always follows through. He provided a first class service. From my very first meeting with Daniel in the Chiswick office, when I literally popped in to enquire about renting a flat in the area, he offered an outstanding and professional service. Daniel really listened to my requirements and was dedicated to finding the perfect home for me. Always well presented, extremely polite and knowledgeable, I would definitely recommend Daniel and all the team at this branch, for providing such a reassuringly first class service. Thank you! Marine was extremely pleasant, professional and helpful. She showed me two lovely properties which matched the description of what I was looking for. Chris once again provided outstanding service in the organisation and remarketing my son's one bedroom flat. Everything was arranged quickly and efficiently in terms of the contract and the flat's preparation. The property's marketing details were clear and well presented. The flat was re-let in two days at the asking price I consider Chris' work to be excellent. I visited a few properties in Chiswick with Lisa who is very professional and friendly. She understood our requirements very well and showed us properties that were very suitable. HI - I just wanted to drop a line to let you know that the service I received from Faii was outstanding. The service I received from Faii was above and beyond what I had received from other agents. She was extremely knowledgeable about the local market and had quickly got a grasp of what type of property I was looking for. She went out of her way to accommodate my search and be available for me to look at the different properties. Polite, friendly and a real asset to your company - please pass on my thanks. Hi, We were recently looking for a property in the Chiswick area and were dealing with Kathryn from the Chiswick lettings office. Out of all the estate agents we dealt with, Kathryn was by far the most professional, welcoming and engaging. She dealt with all quests in a very timely manner and always is a positive attitude with a smiling face. She was accommodating to our needs and always presented us with properties that fit most of our asks- we felt like she really made the effort to understand us and what we were looking for. We would love for Kathryn to be recognised for her work as we truly believe she deserves it. Foxtons team has been for me a true partner in finding my place. They were fast, professional and understood what I was looking for. Kathryn was an amazing estate agent. She was extremely helpful and friendly. Making us feel like people remembering small details we gave. Would highly recommend her to anyone who is looking for a nice, supportive and friendly estate agent. Faii was our estate agent. Excellent service and a proper professional. Thank you so much for finding our dream house. 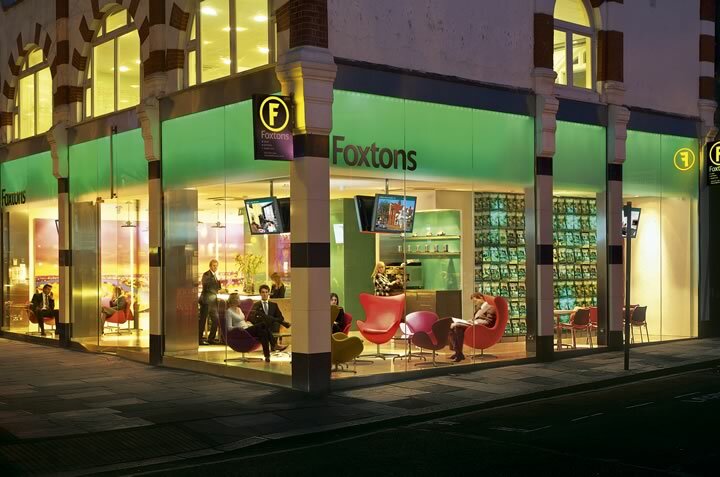 Foxtons Chiswick are a member of the key governing bodies, abiding by the strictest codes of practice. The Chiswick property market is competitive. Foxtons can give you an advantage.